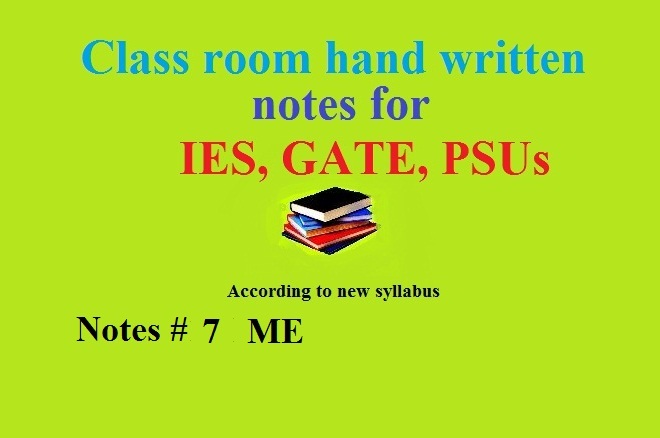 Class room notes of Mechanical Engineering (ME) are shared here for GATE, IES, PSU, BSNL, Railways Exam. and others competitive examinations. I am very thankful to see this website .Thank you for such a sweet tutorial - all this time later, I've found it and love the end result. I appreciate the time you spent sharing your skills. Create study skills activities that you will use every week. For example have a weekly view website session where you write down important facts on a sheet of paper using your memory alone.